This year’s summer school takes place for 4 weeks from July 8 – August 2, 2019 (Monday to Friday). The full course schedule, including the cost of courses, is available here. Perse Summer School is now open for bookings and a number of courses are filling up fast. You can read more about all of the courses on offer in 2019 if you scroll down below. 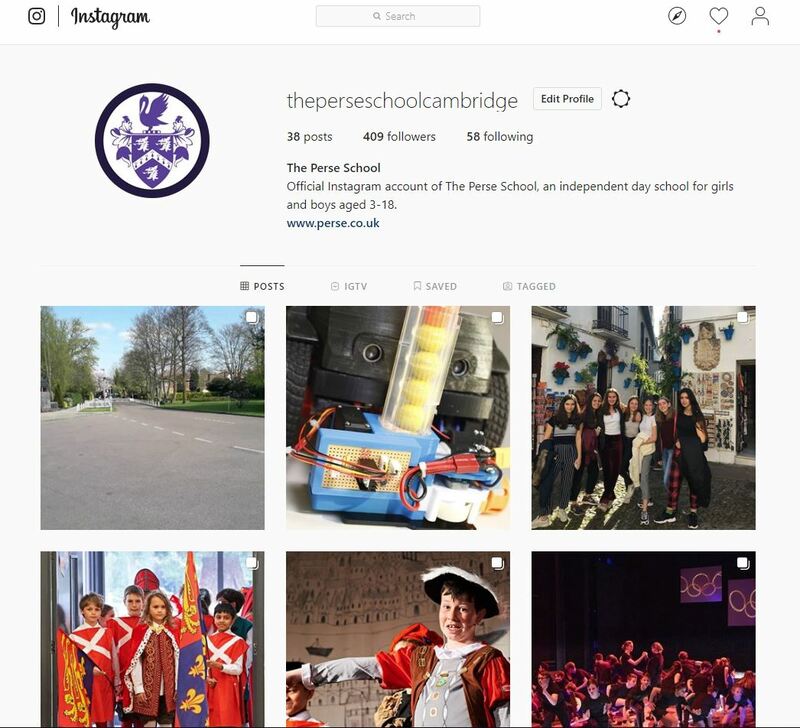 The Perse Summer School welcomes young people aged 7 to 15, from any school. We run a selection of morning, afternoon and full day courses, from one day to one week long. Morning courses take place from 9am-12.15pm and afternoon courses take place from 12.45 -4pm. Wrap around care is available every day from 8am to 9am and 4pm to 5.30pm and can be booked by the session. Lunch is included whether you come for a morning, afternoon or a whole day. More information about the structure of the Summer School day is available here. All courses are delivered by subject specialists so will be genuine learning experiences, providing a real sense of progress and satisfaction over the duration of the course. Bookings are now open. If you would like to book a course, please click this link which will take you to the Perse Summer School booking portal. Full instructions on how to book are available by clicking this link – we would strongly advise you have this document open while you book as we are aware that the system is not quite as intuitive as we would hope. What information will I need to book a course? Parents/carers will need to register on the booking portal. Parents/carers will need to provide their own contact details and their child’s/children’s medical and dietary information before they can book a course. Are there any other necessary requirements to attend a course? Fluency in spoken English is a requirement for all of our courses. As a guide, this should be I.E.L.T.S. Level 5.5/Cambridge Level B2. For courses which involve writing, pupils should also be able to write English fluently and should be at I.E.L.T.S. Level 6.5/Cambridge Level C1. Details of I.E.L.T.S and Cambridge language qualifications can be found here. If your child is not yet at this level, we may be able to offer alternative courses. Do you run courses specifically for international students? We work in association with Michelle Wang at MML Global Education Solutions Ltd (michelle.wang@mml-global.co.uk) to run one or two bespoke courses for international students from China. Please contact Michelle directly for information. If you wish to join our mailing list to receive more information about The Perse Summer School, please click here. We hope to see you at Summer School 2019! This course aims to inspire participants to cycle more through a variety of fun and exciting cycling based activities. The children will be given the opportunity to complete their Bikeability training by taking part in Bikeability Advanced level 3 – the next level up from Bikeability level 2. Pupils will also receive bike maintenance training, and off road bike games to improve and develop advanced bike handling skills as well as competitive cyclocross races and obstacle courses. The course will be concluded with a 2 hour bike ride. Bikeability Level 3 is delivered on roads that have higher levels of traffic travelling at high speeds. The children are shown how to negotiate more complex junctions and manoeuvres, as well as covering journeys from start to finish. Some of the outcomes include roundabouts, multi-lane roads and traffic lights. Students must bring their own bike and wear a helmet. This course will be delivered by Outspoken Training. All Outspoken instructors are enthusiastic about cycling and are keen to promote all forms of cycling. To become qualified, professional National Standard instructors have been through an extensive training programme which is the only accredited training approved by The Department for Transport. They have a wealth of experience coaching in schools on a weekly basis delivering fun and engaging cycling related activities helping children develop their skills and confidence to support them riding more. So you want to be a writer? In this series of writing workshops you will study extracts from some of the great writers for performance, looking at poems, plays, pop songs and political speeches. With this as inspiration you’ll write in a wide range of styles and experiment with effects. At the end of the week you’ll have the choice to perform your writing yourself or direct an actor in performing your work! Carl Cerny is an experienced teacher of English and drama, and is Head of Year 9 at The Perse Upper School. Carl’s degrees are from the University of Warwick and University College, London where he studied English and Comparative Literature. As well as having taught both English and drama, he has directed a series of successful school productions including ‘Macbeth’, Tom Stoppard’s ‘The Real Inspector Hound’, and an immersive, devised adaptation of Lewis Carroll’s ‘Alice’ stories. He has wide-ranging experience as a stage actor and has trained with the English Speaking Union. Have you ever wondered how to make your own journal, sketchbook or artistic hand-bound gift? This course will give you the chance to learn the process of book-binding; exploring traditional methods such as pamphlet, coptic and Japanese binding, creating concertinas, and soft and hard-bound books. There will be opportunities for students to creatively explore artistic skills such as collage, lino-printing, monotype printmaking, drawing or any other contribution of yours to create a book of your own design to keep. All book-binding tools and materials will be provided, just bring some of your own creative ideas to incorporate into the contents. Rebecca Bennett is a Design Technology teacher at the Perse Upper School, and came from a career in the creative industry and education. She has a Fine Art degree from the University of Leeds, and spent her third year studying Art and Design in Milan, Italy, where she developed skills including mosaic design, paper-making, bookbinding, ceramics and silversmithing. She has delivered creative summer workshops for young people at the British Film Institute in London and is passionate about helping students explore their creativity, through a variety of artistic media and techniques. The fundamentals coached at the camp are those sanctioned by British Basketball who have developed the key areas of emphasis for entry level and elite basketball in the UK. Students will learn basketball fundamentals covering ball handling, passing, shooting, individual attacking, individual defending, team defence and team offence. They will also have opportunity to develop transferable skills such as learning the value of teamwork, handling pressure and a competitive work ethic in a focused and disciplined environment. A basketball fundamentals course is a great way of learning to play basketball and the course is open to both those with little or no experience of the game but also those with some experience who are looking to enhance their skills. Coach Wedderburn is employed as a basketball and athletics coach at The Perse Upper School. He is a Level 3 Basketball England qualified coach who has played both in local and national league fixtures for Ipswich and Colchester basketball clubs. While serving with Colchester basketball he represented England against Harvard University. Coach Wedderburn is the Head Junior Coach of Cambridge Cats Basketball where he has spent 20 years working with and developing junior players and teams 13 – 18 years old to play in the Basketball England National League. He is also a junior Cambridgeshire county coach who has been the guiding figure in the development of many individual players that have made the transition from club to university basketball in UK and USA colleges. Bike club will inspire younger children to cycle with a variety of energetic and engaging activities. Run entirely off road for all abilities, the activities include bike handling games, pedal powered scalextric, an interactive bike maintenance lesson, grass track racing and much more. The aim is to demonstrate how fun and accessible cycling is whilst equipping children with the skills to cycle more. The popular virtual history course returns again to pit the wits of budding military-history enthusiasts against the greatest commanders and strategists of all time. From honing their battle tactics to learning about war and statecraft, students will use some of the latest video-game engines to see if they have what it takes to beat down their rivals, work with their allies and forge new empires. Will they, like Caesar, be able to claim that they came, saw and conquered? David Bennett has a degree in Classics from the University of Durham and teaches Ancient History, Greek and Latin at The Perse. He has studied and taught topics from throughout the ancient world, from the Fall of Troy, to Alexander the Great, to the Emperors of Rome. This course offers a mixture of skills and experience, and once the basic aspects of safety and maintenance have been covered we will be setting off to explore Cambridge and the local area. Routes will be planned with students, and we will take snacks and drinks with us so that we can go further afield. Let your imagination run free with this creative costume design course. You will learn about costume design within film and theatre, as well as exploring fashion, materials and special effects. Choose your own theme or favourite book and you will design a costume for a character of your choice from start to finish, ready for the stage! Pauline Courtois has a first class degree in Footwear Design and Development from London College of Fashion, during which she was awarded the prestigious Cordwainers’ Cup for Excellence. Following a successful career in industry (most recently as Head of Womenswear at a London-based footwear brand), she made a career change to train as a teacher in Design & Technology. With extensive industry experience, she has gained in-depth knowledge in fashion, design and the manufacturing process. She enjoys being creative, experimenting with different materials and exploring new ideas. Have you ever wondered what goes into making the shoes on your feet? On this course you will get the opportunity to learn more about the creation of footwear, from sketchbook to store. From sneakers to high heels, you will have the opportunity to explore the design, production and marketing processes as well as creating and developing your own shoes. Come and experience what it is like to be a shoe designer! Product design is an area that rewards those who take risks, challenge conventional thinking and design products that surprise and delight. Would you like to make a product from beginning to end? Would you like to learn how to design, manufacture, advertise and develop creative flair? This course will explore how your designs can become reality, working on a variety of projects like a headphones wrap and wearable technology. Learn how to use CAD software and manufacturing equipment such as the; laser cutter and 3D printer. This course is perfect for students wanting an understanding of design and manufacturing processes, as well as a chance to be creative! Melissa Hall is currently a teacher of Design and Technology at The Perse and came into teaching from a career in the creative industry. She has worked in various creative roles, most recently luxury Fashion Design, after completing a graduate scheme at Harrods. With a degree in Design and CAD, she completed an industrial placement in The Netherlands working alongside Iris Van Herpen, specialising in fusing technology and traditional couture craftsmanship. This course gives students the opportunity to explore the medium of fabric printing and hand embroidery. We will use a variety of traditional techniques to design and create a hand carved lino print. A series of masterclasses will demonstrate techniques, following which you will be given time to develop the new skills in practice. We will also investigate the art of hand embroidery, as well as learning these stitches technically, you’ll be encouraged to play with them; experimenting with scale, yarn, colour, pattern and overlaying to create a fun and adventurous pallet of stitches that compliment your designed print. Creativity is key! The course will provide the materials to do a number of designs on your desired item. Rebecca is a Design Technology teacher at the Perse Upper School, and came from a career in the creative industry and education. She has a Fine Art degree from the University of Leeds, and spent her third year studying Art and Design in Milan, Italy, where she developed skills including mosaic design, paper-making, bookbinding, ceramics and silversmithing. She has delivered creative summer workshops for young people at the British Film Institute in London and is passionate about helping students explore their creativity, through a variety of artistic media and techniques. Melissa is currently a teacher of Design and Technology at The Perse and came into teaching from a career in the creative industry. She has worked in various creative roles, most recently luxury Fashion Design, after completing a graduate scheme at Harrods. With a degree in Design and CAD, she completed an industrial placement in The Netherlands working alongside Iris Van Herpen, specialising in fusing technology and traditional couture craftsmanship. Do you wonder what it takes to make a Hollywood film? Perhaps you have an urge to write or direct something yourself, or to learn the skills to produce, edit and shoot a feature film? Join this introduction to practical filmmaking to experience the whole filmmaking process from storyboarding to shooting, acting and editing. Working in a small group, everyone will be given the chance to develop their creative skills in a variety of crew roles, from Director or Actor, to Camera Operator, Script Supervisor or Sound Recordist. By the end of the week, we will complete a film for you to take home for your portfolio. Femke Cole has worked in the camera department on BBC drama Holby City, and HBO hit Game of Thrones, as well as a number of international documentaries, short films and commercials. She studied Film & Digital Cinematography at Met Film School, based at Ealing Studios in London, obtaining a BA with first class honours. Since moving to Cambridge she has begun offering filmmaking workshops for young people to inspire and teach the next generation of filmmakers. This course has been specifically designed for children aged 7 – 10. Full of First Aid knowledge and packed with plenty of games and craft, children will have the opportunity to complete a recognised First Aid course and receive a certificate at end of the week. Topics will include everything from the Primary Survey, to making a 999 call all the way down to bandaging, choking, bleeding, fainting, resuscitation and so much more! Each topic is age appropriate and will include plenty of fun by encompassing games such as ‘make a mummy out of me’. At the end of the week your new little life saver should not just have the knowledge but also the confidence to use their skills if the situation arose. This course is perfect for those who need to complete their First Aid Badge at Brownies or Cubs. Naomi Hayes’s day job as Music Administrator at the Perse School is a world away from her evening and weekend venture. Naomi is a volunteer Advanced First Aider with St John Ambulance volunteering at events all over the East of England. Naomi has achieved her Advanced First Aid qualification which allows her to use medical gasses, airway controls and advanced manual handling techniques alongside her core First Aid & AED skills. She is a qualified Cycle Responder and Ambulance Driver within St John Ambulance as well as an enthusiastic Youth Leader. Naomi runs a weekly St John Ambulance Badger Sett which caters for 7 – 11 year olds to learn First Aid and other exciting topics and often assists on weekend residentials & training for St John Ambulance Cadets (11 – 18 years). Naomi’s most notable volunteering placements have been at V-Festival, Cambridge Folk Festival, Duxford Airshows, Newmarket Races Concert Nights and the London Marathon. Naomi is passionate about passing on her knowledge to the next generation and strongly believes that First Aid should be a skill that everyone possess. Full of First Aid knowledge and packed with games & practice scenarios, children will have the opportunity to complete a recognised First Aid course and receive a certificate at end of the week. Topics will include everything from the Primary Survey, bandaging, allergic reactions, stroke & hyperthermia, as well as choking, bleeding, fainting, resuscitation and much more. Each topic will include vital lifesaving information but will also include plenty of fun by encompassing games and quizzes. At the end of the week your new life saver should not just have the knowledge but also the confidence to use their skills if the situation arose. This course is perfect for those who need to complete their First Aid Badge (or Advanced First Aid badge) at Guides or Scouts. Graphic design begins with ideas, and this course encourages the development of ideas through observation and research as well as introducing students to layout and typography. The course includes diverse but related projects and allows students the opportunity to build their own brand. Beginning with a graphic ideas brief, the projects continue with an introduction to typography and layout; including projects to design a logo, a poster and an advert. The final projects are to design and print an item of clothing and build a basic website. Amy Prebble is an Art and Design Technology Technician at The Perse Prep School. She graduated with a Degree in Fine Art from Loughborough University. She has a particular interest in the role art and design plays in technology. Whether you are a seasoned golfer or an inquisitive beginner, The Golf Academy at Gog Magog Golf Club, with the help and guidance of PGA Golf Professional, Tom Simm, aims to help you learn, improve or perfect your game. The course will concentrate on learning/improving the core aspects of the game such as driving, irons, chipping, putting and even bunkers! Loan clubs are included in the price if required and will be provided on arrival at Gog Magog Golf Club. For those aged 11-14 who attend the morning Gog Magog Golf Academy course, there is the option to stay for the full day. Students will stay for lunch at the Golf Club and play 9 holes of golf in the afternoon. Other competitions such as putting may also be organised, time permitting. PGA Golf Professional Tom Simm has been a professional for 14 years. Since joining the Gog Magog Golf Club 9 years ago, he has built a junior academy which has given coaching to over 300 juniors, of whom most continue to play the game as they progress through school and university. Many of these have been, or are still, members of Gog Magog Golf Club and a few academy members have even progressed through the ranks to represent Cambridgeshire and England in places as far away as California! The course aims to give beginners the opportunity to develop and enjoy a range of different gymnastic activities while learning new skills. Activities will be progressive, allowing beginners to progress at their own pace. Pupils will work on their own individual performances during parkour, vaulting and trampolining as well as work with others during group work both on the floor and the apparatus to create a routine suitable for an audience at the end of the week. Each day pupils will enjoy approximately 2 hours of gymnastics and 1 hour of trampolining, and pupils will be split into groups of no more than 6 to ensure appropriate supervision. Please note this course is for beginners and less experienced gymnasts. Millie Diss is a PE and Games assistant teacher at The Perse and has experience teaching a range of different gymnastic activities. She has taught gymnastics to a range of abilities and ages and ensures activities are fun and challenging but also safe. Helen Large is a qualified Level 2 Trampoline Gymnastics coach, and has been successfully running the school’s trampolining club for the last 5 years. She has years of experience in coaching, training and competing in the sport at two trampolining clubs. Mad about hockey? Then you probably think it should be played all year round! So whether you want to sharpen your skills, take your game to the next level, or just enjoy the great game, come and play some hockey this summer. This course promises to be fun-filled and action-packed with lots of games and challenges. David Bennett fell in love with hockey at school and has been playing ever since. He has played hockey to regional premier league level and has been involved in coaching since he was 17. He coaches hockey at The Perse and still loves playing. This dance course offers pupils the opportunity to watch excerpts from Mary Poppins, brainstorm ideas and move onto some choreography. Students will learn a song from Mary Poppins and create a costume, ready for a performance at the end of the week. All standards are welcome, from beginners to more experienced dancers. Katy Graham-Clare (Week 3) graduated from the Cambridge Performing Arts Academy at Bodyworks dance company in 2003. Having gained a Trinity diploma in Professional Dance, Katy continues to enjoy a successful career in dance, television and film. Her numerous dance credits include performances with artists such as One Direction, DJ Ironic, Lemar, Alexandra Burke, Beverly Knight, Jessie J and Calvin Harris. Recent performances include Glastonbury Festival, Stephen K Amos Comedy Tour, Take That Tribute Tour, Levi Roots Reggae Reggae tour and Beyoncé at the O2. TV work includes Mr. Stink, Miranda fitness DVD, Eastenders, Holby City, Mr. Selfridge. Katy has also worked on several films including Bollywood productions. Nikki Magowan (Week 4) is a professional dancer, actress, singer and model. She recently graduated from a full scholarship place at Bodywork in Cambridge and is pursuing her career in London where she has had plenty of experience on stage and screen. With the Great British Bake Off encouraging more young bakers into the kitchen, this course aims to give young people a change to develop some everyday skills of their own. Based on the format of the GBBO, our young bakers will try their hand at cake day, biscuit day, bread day and pastry day, before ending the week with some show-stopping patisserie! The course will be best suited to individuals with some baking experience, although complete novices are welcome. Participants will be given their own recipe book to annotate during the week and to take away at the end. Ed studied Philosophy and Theology at the University of Oxford and has been teaching at The Perse for three years. He has had a passion for food since a young age, and has worked as a chef in a number of kitchens, including a Michelin-starred restaurant. He is looking forward to sharing his tips and tricks with summer school! Dani obtained a degree in Biology and Psychology from the University of Bristol and has been teaching at The Perse for the past eight years. She is a keen cook and has attended several Cambridge Cookery School evenings herself as well as teaching cooking at The Perse Summer School. Elise obtained a degree in English Literature and Civilisation from the University of Arras, in France, where she is originally from. It is her second year at The Perse as a French Assistant. She has always enjoyed cookery. As a food enthusiast, she would love to pass on her love and pride for her native food traditions. Eating well doesn’t have to be expensive. Learn how to cook delicious, healthy food without wasting time or money, and set yourself up for university life. Participants will learn how to make a number of quick and easy meals, including how to make one sauce into five delicious dinners, and how to create an impressive dinner party on a budget. Ed Dickens studied Philosophy and Theology at the University of Oxford and has been teaching at The Perse for three years. He has had a passion for food since a young age, and has worked as a chef in a number of kitchens, including a Michelin-starred restaurant. He is looking forward to sharing his tips and tricks with summer school! 5 meals, 5 ingredients – it really is that simple ! Learn how to cook delicious, healthy food without wasting time or money. This course will allow complete beginners and budding bakers alike to improve their skills and build up a repertoire of fun, fool-proof dishes that are bound to impress friends and family. Elise Desailly obtained a degree in English Literature and Civilisation from the University of Arras, in France, where she is originally from. It is her second year at The Perse as a French Assistant. She has always enjoyed cookery. As a food enthusiast, she would love to pass on her love and pride for her native food traditions. Do you enjoy watching cooking TV shows ? Have you always dreamed of being able to do the same patisseries as in Great British Bake Off ? Or do you just like French cuisine in general ? This course is for you ! Come and discover the well-kept secrets of traditional French dishes, sweet or savoury, to impress all your friends and family with your cooking knowledge. We will build your confidence in your abilities, following recipes, to build step by step a sumptuous French dinner! Healthy does not have to be boring, come and learn how to create colourful and varied healthy meals. Through this class, you will learn how to build healthy meals step-by-step, while bringing your own personal touch to make it very special. All abilities are welcome to join the class and this will be a good opportunity to share what you have learned with your family. It has been said that maths is like going to the gym for your brain. Why not join us in sharpening up your brain whilst you try out some exciting maths challenges. This course will give you the chance to develop your problem solving and systematic thinking skills in a fun and engaging way. A range of puzzles and investigations will be looked at throughout the week, alongside the work and theories of some famous mathematicians. The course is aimed at enthusiastic mathematicians of all abilities. Jo Coleman graduated from Glasgow Caledonian University in 2002 with honours degree in Sociology and Politics and went on to do a PGCE at the University of Cambridge in 2005. She has taught in mainstream primary schools for several years, before moving to The Perse Prep in 2015 to become Head of Maths. During this course you will learn the essential elements of using Logic Pro to produce and create music and sound design projects. This course covers all the basic elements of Logic from project set up to plug in’s and how to use them. You will learn how to approach production projects from two essential elements – music and sound design. The first project will cover the creation of sound effects and the manipulation of audio to create a finished movie project. The second project will cover the musical elements of creating a musical piece for a TV advert. This project will include a brief introduction to the construction of chords and how to use them but will focus more on the use of the tools within Logic to create a polished musical piece. This course is intended for learners with no or very limited knowledge of Logic Pro and music production. Neil Cowlan is a guitarist, songwriter and producer. As a songwriter and producer and engineer Neil has worked with artists such as Thin Lizzy, King Crimson, Gavin Harrison, Carl Verheyen, Don Grusin (3 time Grammy winner), GraceSarah, Revelator, Damian Cox, Keith Wilkinson (Squeeze & Jools Holland), Jamie Morrison (Noisettes, Duffy, Stereophonics), Violet Transmissions, Emily Fraser, Polly Paulusma, John Parker (Nizlopi), Yamaha Musical Instruments, Ethan Ash, Gil Karpas, Rebecca Heyne, No Man (Stephen Wilson) and many more. In 2005 Neil was invited by BBC radio to co-present a monthly radio show looking at guitar playing through the different styles of blues and was described by the BBC as a “guitar superhero” and “the best guitarist to emerge from Cambridge”. Neil has since been described as “the real deal” by LA session guitar legend and Supertramp guitarist Carl Verheyen. Neil has engineered and mixed sessions for various sampling companies as well as engineer recording sessions for other instruments and provide the mixes for the high end keyboards. A rotation of sporting activities, for those who want activity and variety! These might include cricket, dodge ball, tennis, frisbee, touch rugby, netball, rounders, badminton, basketball, table-tennis, hand ball and more! This course is bookable by either the half day or by the day. The course is aimed primarily at children up to the age of 12, although older children will be welcome. The children will be split into smaller groups depending upon the sport and older children will have opportunities to develop some leadership skills. Tom Dipple is a PE & Games teacher based in London. He discovered a passion for sport during his time as a pupil at The Perse and is now a Level 2 qualified coach in Rugby, Hockey and Cricket. When he is not coaching children, Tom can be found instructing adults through fun, social team games. He believes that young people of all abilities can benefit from playing sport, and is excited to be returning to The Perse Summer School in 2019. Daniel Nicholes is Head of PE, Boys’ Cricket and Football at the Perse Prep. He is a professional sports coach with qualifications in football, cricket, rugby, netball and gymnastics. He is an enthusiastic sportsman who is passionate about making sport fun and accessible for all children. Millie Diss is a PE and Games assistant teacher at The Perse. She graduated from Edinburgh University with a Sport Science degree and is incredibly passionate about sport. She captained Edinburgh University’s Netball team and now plays netball for Comberton. She is a level 2 qualified netball coach and umpire but also coaches hockey, cricket, badminton and table tennis at The Perse. She loves seeing young people of all abilities improve and have fun with sport and believes all young children can benefit from it. Interested in fire lighting, wood carving and cooking over an open fire? The bushcraft course is an exciting opportunity to try your hand at a wide range of back to basics skills ranging from lighting a fire with sparks to carving your very own spoon. If you don’t mind a little bit of mud and enjoy a marshmallow or two this course may well be for you. No prior experience is needed and all necessary equipment will be provided. As well as teaching physics and technology at The Perse, James Hutchings works with the Outdoor Pursuits Department as a canoe, kayak and climbing coach, has completed a wide range of expeditions in the UK and abroad, and is also very passionate about living in the outdoors and bushcraft skills. These bushcraft skills are used on a regular basis to teach young people about survival, carving, fire lighting, outdoor cooking and shelter building amongst other things and are a real passion of his. This course focuses on traditional canoes and all the skills that can be used in them, we will introduce you to some basic strokes, some basic rescue techniques and depending on how things are going we may even get the chance to try some canoe sailing!!! Transport between The Perse School and Milton Country Park will be provided. Dave Jnr is a highly experienced kayaker and canoeist with many years of experience leading trips in the UK and abroad. He currently provides British Canoeing courses to other aspiring watersport coaches and delivers a wide range of expeditions for school groups and university students. Dave Snr is an experienced paddler and mountaineer and a former member of the Great Britain Canoe Slalom Team. He has just retired from the Fire Service as a Station Commander after 31 years’ service. In 2018 he led an expedition as senior river leader for British Exploring Society to the Yukon Canada. Both Daves work regularly with Perse expeditions, and will be leaders in the Summit 12 expedition to Sweden in June 2019. An introduction to belaying and more…. Come and get involved in this fun and exciting week learning all the skills required in your teams to build, paddle, race and have a laugh with rafts. All transport to and from Milton Country Park will be provided. This course is a Paddlesport course aimed at our budding young paddlers out there. The activities will focus on getting young people into paddling through games. This week is focussed on fun, getting out and trying many different water sports. With activities including Stand Up Paddle boarding, kayaking and raft building there is lots of fun and laughs to be had. In this course we will learn to use a digital camera effectively for a range of different purposes and styles; whether it be how to take a close-up shot from nature, a dramatic sports photo or a visually striking portrait using artificial light. Exploring the different functions of the camera will be a crucial first step as well as examining how to frame a subject effectively for the purpose. Following the hours of photography, the pupils will have time to upload images to computers and investigate the possibilities given by editing software to bring the photos to their full potential. Suitable for beginner to intermediate level photographers. Dan Wansell grew up in London and Dorset. Between 2000 and 2006 he studied at the Edinburgh College of Art where he completed a BA (Hons) in Painting and an MFA in Art, Space and Nature. It was during his MFA that Dan developed a passion for photography. In 2009, he gained a PGCE from the University of Buckingham and, alongside making his own art work, he is also Head of Art and DT at The Perse Prep School in Cambridge. His work has been exhibited in London, Edinburgh and Chicago. Jules Reston graduated from the University of Manchester with an honours degree in History of Art, before completing a PGCE and Masters of Education at Homerton College, Cambridge. Jules found a love of photography whilst documenting his travels, hiking through the Pyrenees. Can I know anything for sure? What makes something right or wrong? Can computers think? If you have ever wondered about questions like these, this course is for you! This course offers participants the opportunity to become acquainted with the wonders of philosophy and grapple with the questions that have challenged mankind since the Ancient Greeks. Ed Dickens studied Philosophy and Theology at the University of Oxford and has been teaching in the Philosophy, Ethics, and Religion Department at The Perse for three years. He enjoys grappling with the big questions of life, and looks forward to engaging in some logical reasoning and philosophical debating this summer! Are you anxious about acting and petrified of public speaking? This group workshop aims to help develop your confidence in presenting yourself to an audience. In a fun and welcoming atmosphere, we will use games and activities to build your confidence, and you will receive personalised tips to improve your oral communication. Building towards either a presentation or a performance, you will develop the confidence to stand before an audience and express yourself with an awareness of both your voice and your body. Don’t raise your voice: improve your argument! This skills workshop aims to help improve your public speaking and debating skills. You will learn about ways to enhance the clarity of your oral communication, as well as the power of your gesture and body language. You will practise both public speaking and debating through activities designed to get you communicating clearly in both scripted and spontaneous scenarios. The course provides a great opportunity for young players to hone their individual skills ahead of the season, as well as broaden their knowledge of areas supporting their performance such as nutrition, recovery and fitness. Liam St John has been head of rugby at The Perse for the past 7 years. He is a UKCC Level 3 coach and RFU Coach Educator. Having graduated from Loughborough University, he has previously been involved in coaching in county and performance pathways. Do you want to understand the chemistry of analysis? Learn the different chemical tests involved in the analysis of both Inorganic and Organic compounds. During the course you will develop the skills necessary to find out the unknown by experimentation. Have you ever wondered about the ingredients in certain medicines – how much iron is actually in iron tablets? Which antacid is the most cost effective? If you enjoy chemistry experiments and want to learn new and improve your practical skills then this is for you. Paul Spiers has degrees in both Chemistry and Biochemistry and has been teaching science at The Perse for over 40 years. He continues to teach across the years and has been an examiner for CIE in the practical A level examination and OCR at GCSE. Are you interested in science? Would you like to learn more about forensics? From DNA and fingerprints to flame tests, fibres and hairs, chromatography, castings, electrophoresis and many other practical techniques, we will explore and practise methods used by detectives and the police to help solve crimes. Perfect for those who enjoy science or simply those looking for an exciting and mysterious element to their summer – it would be a crime to miss it! Abigail Parker obtained a degree in pre-clinical medical studies from Gonville and Caius College, Cambridge and studied medicine at Addenbrooke’s Hospital before beginning teaching at The Perse in September 2014. In 2017, Abigail took up a teaching post at a local Prep School. Are you interested in the human body? Or perhaps you would like to work in the medical field one day? Then this course is for you! Come and learn more about systems of the human body and how medics can use this knowledge to help us. Each day we will explore a different organ system, including the circulatory, nervous, digestive, respiratory and excretory systems through short lessons and practical work, we will also apply our new knowledge to simple medical case studies. Interested in doing experiments? All the fun of carrying out experiments whilst unlocking the mysteries of natures and manmade mixtures. Have you ever wondered how chemists separate and purify all of the chemicals that nature provides? From the beginning awareness of the safety aspects involved in carrying out laboratory work will be studied along with the necessary dexterity of handling equipment. Power-points and short videos will intersperse the practical and will enable the students to build be a practical record booklet to keep. Some of the most successful computer games in history have been incredibly simple. From Frogger to Flappy Bird, Pacman to Pong, people have enjoyed making and playing basic games for decades. This course aims to give you the opportunity to make your own game from start to finish! We will be designing and drawing our own characters and backdrops, taking inspiration from the artwork of iconic games, and using Scratch to bring them to life. We will also look at the artwork and marketing used to promote these games, before we create our own cover art. The course is available to absolute beginners who have never used Scratch before, as well as more advanced users of the software. Amy is an Art and Design Technology Technician at The Perse Prep School. She graduated with a Degree in Fine Art from Loughborough University. She has a particular interest in the role art and design plays in technology. Pete is Year 5 and 6 Computing Co-ordinator and Director of Enrichment at The Perse Prep School. A relatively recent convert to the joys of programming, he has thoroughly enjoyed finding new and engaging ways to teach children to code. He has also been known to play computer games from time to time. Calling all drama and singing enthusiasts! Would you like to take to the stage in our brand new state-of-the art Peter Hall Performing Arts Centre? Over the course of three days students will create a brand new staged piece from scratch working with an awarding-winning practitioner from the world of professional music and drama. The story will be devised with the students and family and friends are invited to the final performance. No previous experience or audition required, just a willingness to get involved. Tim Yealland led the award winning education department at English Touring Opera for the last 15 years. Tim is a director and writer and as a baritone he sang for most of the major opera companies. He has devised, with Rachel Leach, 5 major community operas, including most recently Under the Hammerbeam Roof, commissioned by Hampton Court to celebrate its 500th birthday. Tim (with Rachel) won the Royal Philharmonic Society Award for Best Education Project. Students will learn how to navigate using grid references and compasses, before designing their own orienteering courses and running them for peers. There will also be a variety of team building activities in which the children will develop their leadership, cooperation and communication skills. Jules Reston graduated from Manchester University with an honours degree in History of Art in 2010 before completing a PGCE at Homerton College, Cambridge in 2012. He taught in mainstream schools before moving to The Perse in 2016. Jules regularly spends his summer orienteering. Have you ever wondered what goes on backstage in the theatre, or fancied trying your hand at rigging some lights or making props? On our Technical Theatre course you will be given a whirlwind tour of all aspects of technical theatre, from lighting to sound to stage management, in our professional specification theatre. Working hands on with our start-of-the-art equipment under the guidance of our expert technical theatre staff you will be running all the technical aspects of the Spotlight on Stage course that runs alongside this course. Suitable for those with no previous experience and those who would like to extend their knowledge. Mel is the Technician at the Peter Hall Performing Arts Centre, assisting with the technical side of the theatre and its productions as well as being involved with the school’s Technical Theatre Club. Mel has a degree in Performance Technologies and Production from the Guildford School of Acting and has worked freelance with companies such as the Royal Shakespeare Company and The National Theatre. Have you ever wanted to learn how to play a twenty shot rally or serve? We give you a racquet and the foam balls, you bring along a smile and bags of enthusiasm and energy. You will be able to rally with friends and challenge a mum or dad to a game after the 5 day course. This course is aimed at more experienced tennis players. It is a chance for those with some experience of the basics to improve their game and hone their skills. We will work on rallying, serving and competitive play. Why not come along and try some teamwork – doubles, and drills like dingles and red rover will help you improve your game rapidly. Have you ever wanted to write and illustrate your own book? During this summer school course, you will get the chance to explore character and story development through skills in writing and art, by planning and designing your own book. This is a great opportunity to explore different ways of bringing your own ideas and characters to life through drawing and creative writing, spending time with both an art and English specialist. By the end of the week, you will get to finish, bind and take home your own book to share and read! Chloe Fagan teaches English at The Perse and runs the F.R.Leavis literary society for sixth formers. She studied English Literature at Durham University and completed her Masters degree in Victorian Literature, Art and Culture through the University of London, during which she used her spare time to write. She continues to enjoy writing during the holidays and teaching her students to develop their skills by using inventiveness and imagination.